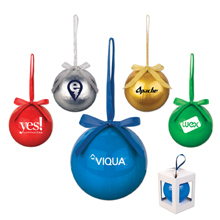 Give away our Holiday Ornament during the holidays to make a lasting impression during gift giving season! Comes in a white gift box and is shatter resistant! Try out your luck with these uniquely shaped playing cards. 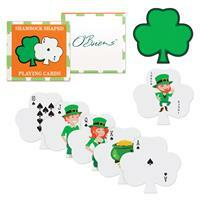 Perfect for school or cultural events, this cards will help you complete your St. Paddy's Day look! Imprint is on the box, not the item. One location imprint only. Tis the season! 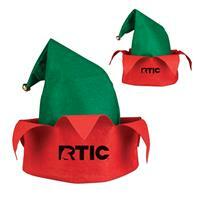 Get your next marketing campaign started with our elf hat! 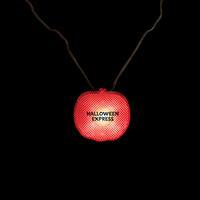 Great for parades, schools, event planners & more! Wear it on office holiday celebrations or during the annual Christmas Day parade. Add your imprint to the hat and really get your logo noticed! One size fits most adults. Felt. One color imprint only. Option 1: 2" x 2"
Tis the season! 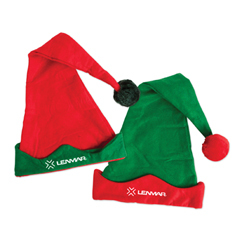 Get your next marketing campaign started with our elf hat with pom poms! 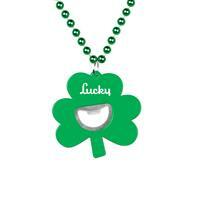 Great for parades, schools, event planners & more! 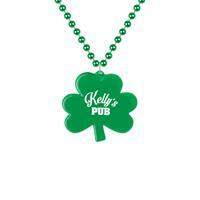 Wear it on office holiday celebrations or during the annual Christmas Day parade. Add your imprint to the hat and really get your logo noticed! One size fits most adults. Felt. Assorted red and green. One color imprint only. 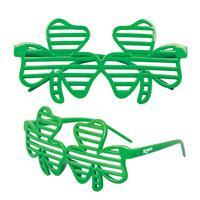 Bring fun and festivity to your next promotion with our Shamrock Shutter Glasses! 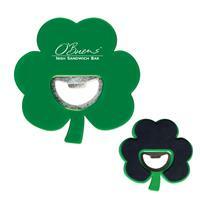 Great for St. Patty's Day parties, events, parades, and more! One size fits most adults. Plastic. Be cheery and bright with our light-up Santa hat! This popular festive item is sure to warm the hearts of young and old. 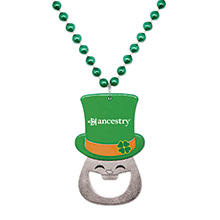 Wear it on office holiday celebrations or during the annual Christmas Day parade. Add your custom imprint to the white trim and give them out during winter events. A perfect fit for seasonal fundraising programs and snow-capped travel destinations. 2 color imprint available for orders over 5,000 pieces only. This LED Snowman Ornament with a Santa Hat is a great gift for the holiday season. The snowman's red nose lights up when turned on. Add your imprint to the ornament and let your holiday spirit shine! Perfect for holiday parties, tradeshows and fundraisers. One color/location imprint only.